The National Wraparound Initiative seeks to build the capacity of states, communities, organizations and individuals to contribute to the provision of high quality Wraparound. We pursue this goal through work related to the four functions outlined below. Supporting community-level planning and implementation through the National Wraparound Implementation Center, as well as access to implementation blueprints, self-assessment measures, and a searchable Resource Library of tools, guidance documents, and research articles, all available through the NWI website. The NWI has also created an interactive Implementation Guide to Wraparound, based on the implementation framework identified through research on the Community Supports for Wraparound Inventory. This framework sees community-level implementation support for Wraparound developing in six major areas: community partnership, collaborative activity, fiscal policies and sustainability, access to supports and services, human resource development and support, and accountability. Develop a system to evaluate quality and impact of Wraparound training and technical assistance. All of the above efforts are now reflected in the techniques and strategies used by the National Wraparound Implementation Center (NWIC). The NWIC ensures that any community, organization, or state that wishes to implement research-based Wraparound can receive training, coaching, and technical assistance that is based on implementation science, develops a high-quality workforce, and ensures accountability to funders and families. Ensuring accountability through external reviews of practice and a web-based system for tracking implementation, monitoring fidelity and measuring outcomes at a community and team level. Currently, several fidelity measures are available that can support Wraparound implementation as well as research. Together, these measures comprise the Wraparound Fidelity Assessment System (WFAS). The WFAS is a multi-method approach to assessing the quality of indi­vidualized care planning and coordination for children and youth with complex needs and their families. WFAS instruments include surveys and interviews with multiple stakeholders, a team observation measure, a document review measure, and an instrument to assess the level of community and system support for Wraparound. For more information about the measures of the WFAS, please visit the website of the Wraparound Evaluation and Research Team (WERT), at the University of Washington. 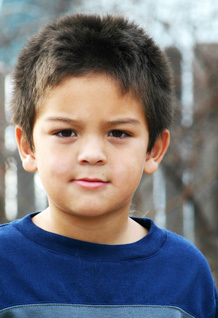 In addition to the measures of the WFAS, which are available to sites and states to license for their own use, the Wraparound Evaluation and Research Team at the University of Washington has developed an objective, external evaluation process that produces a comprehensive evaluation of a program or system’s Wraparound fidelity, implementation capacity, and youth/family outcomes. Evaluation via this approach, called the Wraparound Structured Assessment and Review (WrapSTAR) can be undertaken by the NWI, or the NWI can train evaluation staff in a site or state to use it. Regardless of your evaluation needs or aims, our research and evaluation team has conducted many local and statewide evaluations of implementation quality and fidelity as well as outcomes, and are available to help your Wraparound program or initiative conduct a rigorous assessment of implementation and/or effectiveness. Sustaining a more vibrant and interactive national community of practice by bringing together hundreds of NWI members and dozens of affiliates nationally who provide energy and resources while also benefiting from sharing information and being linked together. The NWI strives to serve as a platform for direct member-to-member networking and information sharing. Additionally, the NWI is continually working to compile and share tools, resources and information from collaborating sites across the world through the publications and tools library and other areas of the website. The NWI also maintains a presence on Facebook as well as a YouTube Channel.